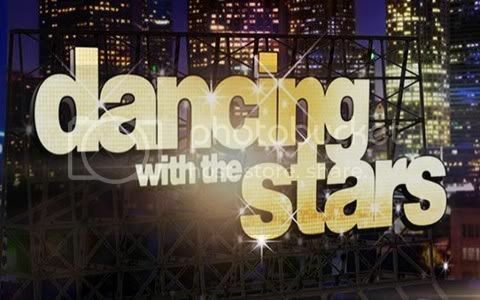 Quick Take: Dancing With the Stars, "Week 10 Results"
Review: Dancing With the Stars, "Week 10 Results"
(S1420) In all honesty the Dancing With the Stars finale could have been an hour and it would have been just fine, but then they wouldn't have time to bring back the season's previous contestants and throw in all the fluff. The finale show opened with a group dance featuring the dance troupe and the professional dancers who didn't make it to the finals. Surprisingly there was also an encore dance and best of all it was Donald and Peta's freestyle dance. It was just as fun to watch the second time around. All of the previous contestants got one final spin on the dance floor as they either performed a new routine or one they had previously danced. Sherri's cha-cha to "It's Raining Men" with Maksim, Val and members of the troupe kicked off the performances. Jaleel and Kym performed a new choreographed number; a paso doble to the theme music of Shaft. Apparently it was a wish of Jaleel's to perform to it. Also performing a new routine were Roshon and Chelise who were unfortunately eliminated right before the semi-finals but that didn't stop them from giving it their all in a high energy freestyle dance. I can only imagine what he would have done if he had made it to the finals. It was also great to see Gladys & Tristan dance again as well. In a plug for ABC's new singing competition, Duets, which premieres on Thursday, Kelly Clarkson, who is one of the superstars on the show, performed a medley of "Stronger" and her new single "Dark Side." Also stepping up to the microphone was Gladys Knight who sang her rendition of "The Way We Were" in honor of her fellow contestants. After about seventy-five minutes of performances the final three finally got on the hardwood to dance their final dance. After receiving their music following Monday night's show they basically had twenty-four hours to prepare for their final dance. Leave it to the producers to always throw in some twist. Up first were William and Cheryl who not surprisingly danced the salsa. Yes, William is great at the salsa but after performing a freestyle that was a fusion of salsa and tango it would have been nice to see him do something different. Following them were Katherine and Mark who performed the jive. They hadn't danced it since the second week of the competition and it was amazing then and it was once again. And finally there was Donald and Peta who opted to dance the cha cha... And it was a great one! Len actually told Donald that he was the best football player they have ever had on Dancing With the Stars. Following three great performances the judges scored each of their final dances with a thirty. In the end, Katherine and Mark sat on top of the leaderboard with a perfect ninety after factoring in Monday night's scores and William and Cheryl and Donald and Peta were right on their heels with an eighty-nine each. Eliminations began with announcing the third place couple and following short of being in the final two were William and Cheryl. I honestly thought that they did deserve their spot in the finals, but, I was disappointed in their freestyle dance. It wasn't anything out of his comfort zone. And raising that Mirror Ball trophy in triumph were my favorites to win Donald and Peta. He honestly understood what this show was about... having fun and pushing yourself to do something you would never do. Kudos to Katherine and Mark though for turning out some great performances and being completely gracious at the end. So, that's it... Season 14 has to come to an end. Season 15 should be an interesting one as it will be an all-star season. Not sure how that's going to work out. I feel that some of the contestants may be at an advantage having already danced some of the dance styles. I do wonder if anyone from this season will be making an appearance though.